Locked doors, empty darkness, silence, a for sale sign out front – these describe the buildings which once were vibrant places of worship to God for Christians in our country. For decades, there have been reports that people in America are leaving the “church”. Not just young people but people of all ages and backgrounds. Why have they left? Where did they go? If church is not the answer then what are they looking for? You see, they really haven’t left a church building. They have really left God. They have no interest in God since they are “in control” of their own lives. They want a god that fits their lifestyle, their time or their morals. Those who once followed God and worshiped Him have walked away searching for purpose in other places but not finding it. And perhaps those who still attend a church service weekly, monthly, or once a year only do so because they always have. They attend social gatherings and events but their heart for God has grown cold. Going through the motions, they take no thought of having a close relationship with God or having Him direct their lives. It’s not that people could care less about going to a church building but they could care less about God, about knowing His Word. People don’t need to return to a church building. They need to return to God. And God in His love is calling those who once knew His closeness to come back to Him. Then as they fall in love with God again, they will come flocking to meetings and gatherings to worship Him. 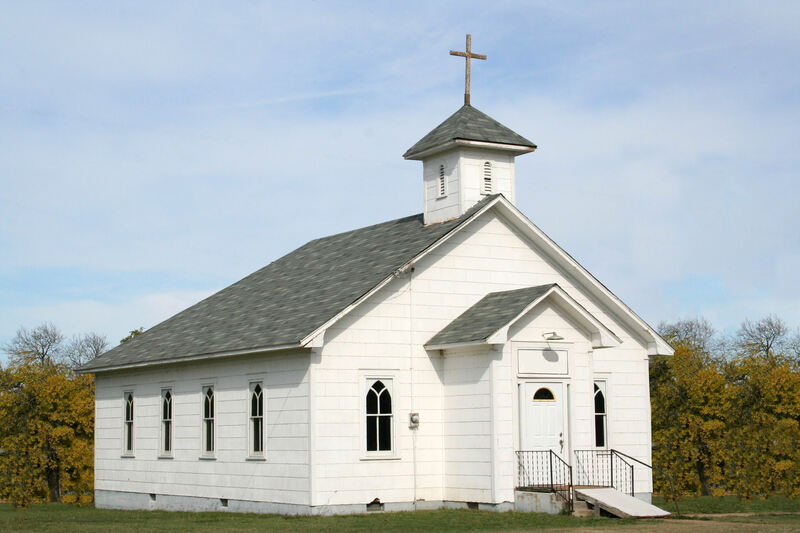 Perhaps many closed church buildings will be open again, packed with Christians praising God because they have returned to the God who loves them. It is time to wake up! Have you left God? He wants you back with Him. Do you need to know God personally? Turn to Him who offers forgiveness. 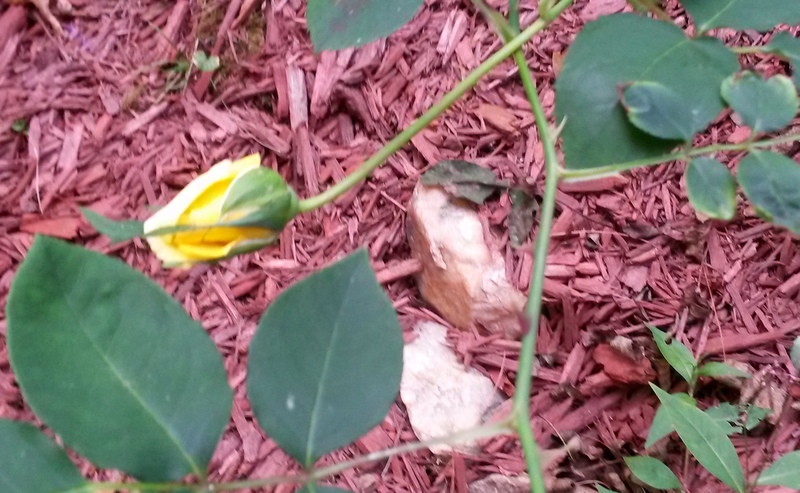 A bright yellow bud is finally appearing on the rose bush. After clearing a bank of weeds and dead plants in front of our house, I needed to fill it with other plants, so I went to our local garden shop. I always look in the back for plants that are half dead, the ones that no one wants but are ridiculously inexpensive, and I found a few plants plus an unrecognizable “Royal Golden” rose bush. Taking them home, I took special care to plant the rose bush where it would get a lot of sun. Green started showing on the bush but no rose. Finally last week, nearing the end of summer, I saw a beautiful yellow bud on one end of a green stem. I just wanted to see one rose before the end of summer. A sigh of relief and joy, I was glad it was true to its name on the tag – a “Royal Golden” Rose. If there were no roses on the bush it would just be another green plant with thorns. I would have to throw it away because a rose defines a rose bush. Like the shriveled up rose bush, many people who call themselves Christian don’t have fruit that looks like Christ at all. Their thoughts, actions, and speech are nothing like Jesus, even though the “tag” says “Christian”. There is little or no fruit in their lives, no buds on the branches. Just a green plant with thorns. From years of not talking with God, not reading His word, and not fellowshipping with other believers they have withered. And they need new life. The soil has become dry. Maybe just living in a sinful world, they have allowed themselves to become bitter, discouraged or apathetic by hurt and rejection. They just quit and no longer trust God and His nourishment for their lives. Yet God sees them and wants to renew their lives, to bring fruit to the unrecognizable branches. God is extremely patient and longs for those who know His love and forgiveness to return to Him and be renewed. God wants those who know Him to abide with Him and seek Him. Then He will produce fruit, rose buds in their lives. Right now there are too many defeated, apathetic, and lifeless believers in Jesus who need to return to their God. Seeing God work in my own life, just like the rose bush, I wrote a book to encourage others, Christians and non-Christians, to seek God and let Him renew their lives. Wake Up! Return to God will be out on Amazon in a few weeks. God always longs for His people to return to Him and be made whole, to live fruitful lives that reflect His glory to the world. As we seek God and only Him in our daily lives, He alone can create a vibrant life, full of hope, joy, peace and goodness. He gives us a life full of abundant rose buds bursting into radiant fragrant roses. Are you like the rose bush in the corner needful of new fresh blossoms, a restored relationship to the Creator who loves you and wants to care for you? Go to Him, He knows exactly what to do and will plant you in such fertile soil you will be amazed at the abundant fruit in your life – love, joy, peace, patience, kindness, goodness, faithfulness, gentleness, self-control and a witness of Jesus in your life.